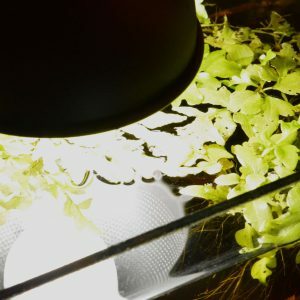 So it’s been a while since my last post here and I thought of writing this post because I have started this ‘Iwagumi’ setup in a nano ~3-gallon tank. But the post isn’t about it. 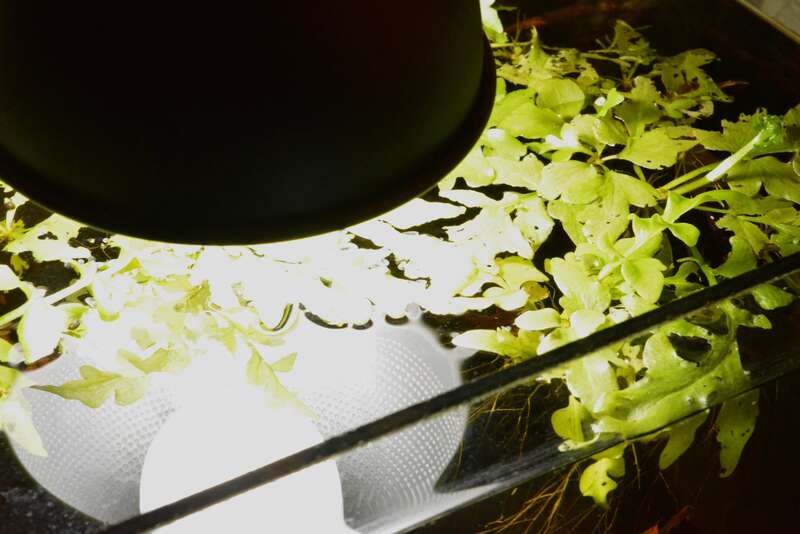 As most of y’all would know an ‘Iwagumi’ setup is like an ‘underwater garden’ with hills valleys etc. And all of these setups have almost NO hiding places or cover from the bright lights. 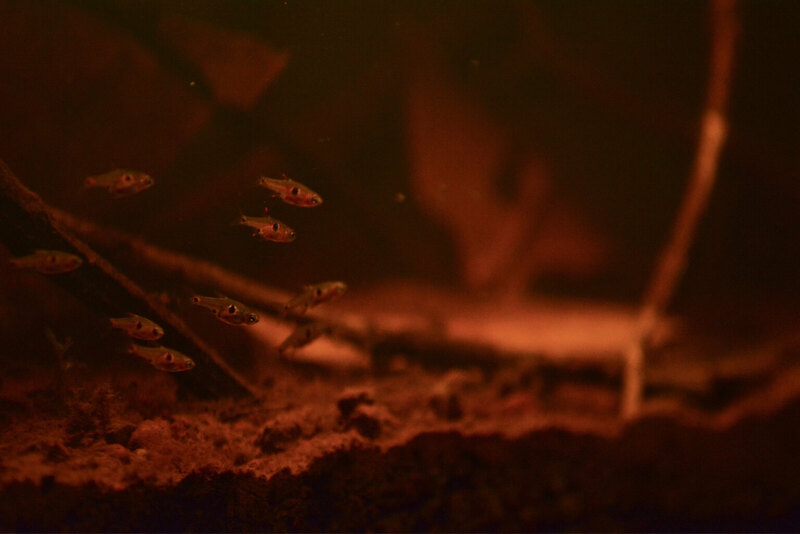 Almost all fish in their natural habitats have a messy home, and they LOVE THAT. Fish like to hide, they need cover, they need to feel secure. 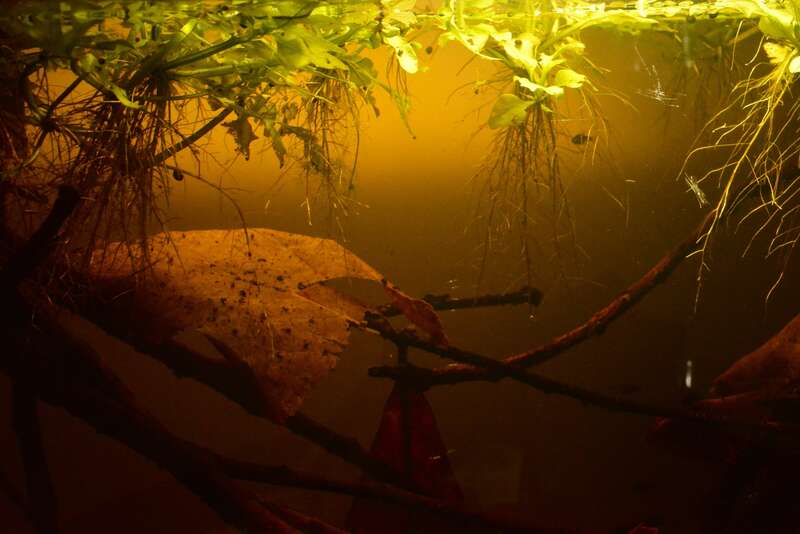 Most fish used in Iwagumi setups are tetras, rasboras etc. and these fish come from darker waters with lots of shade etc. So I wanted to share another setup of mine which I really love. Its new and has developed so fast to this amazing habitat. 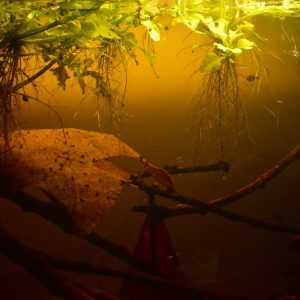 This is my Blackwater setup for 10 Boraras Maculatus. The water is stained a dark tea color, with the tannins from the Indian Almond Leaves. These fish seem really really happy, the tank seems empty but confident that they really feel at home. The fish have bred and I have spotted fry in the tank which is just amazing. Here’s a picture of one below, believe me its very difficult to capture them on camera with such low lighting. 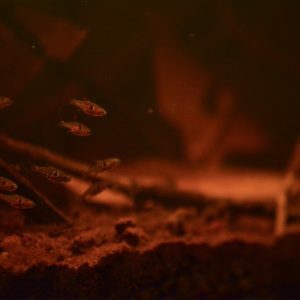 Now every fish that you keep might not breed, but getting the setup to mimic nature as much as you can is something I feel we as hobbyists ought to do. 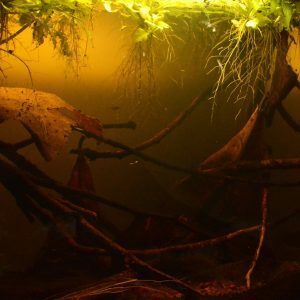 Sure Iwagumi tank look awesome, but in my opinion I don’t think they’re ideal for any fish. So when you’re setting up a tank, think about what your fish needs. 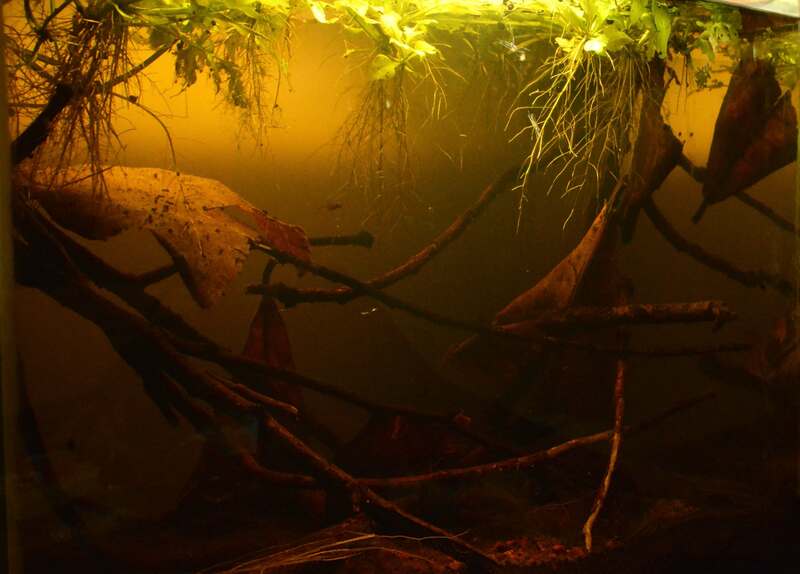 Also most ‘biotope’ natural setups are fairly cheap too. Don’t overstock, keep the fish in the right numbers, conditions etc. and you’re gonna really love the results!